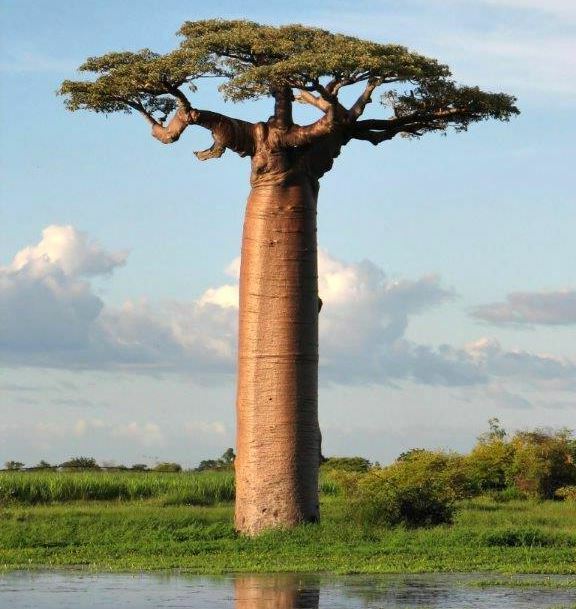 Adansonia digitata, Baobab or Kremetart tree is the most widespread of the Adansonia species and is native to the African continent. The trees usually grow as a solitary individual, are deciduous, losing their leaves in the dry season. 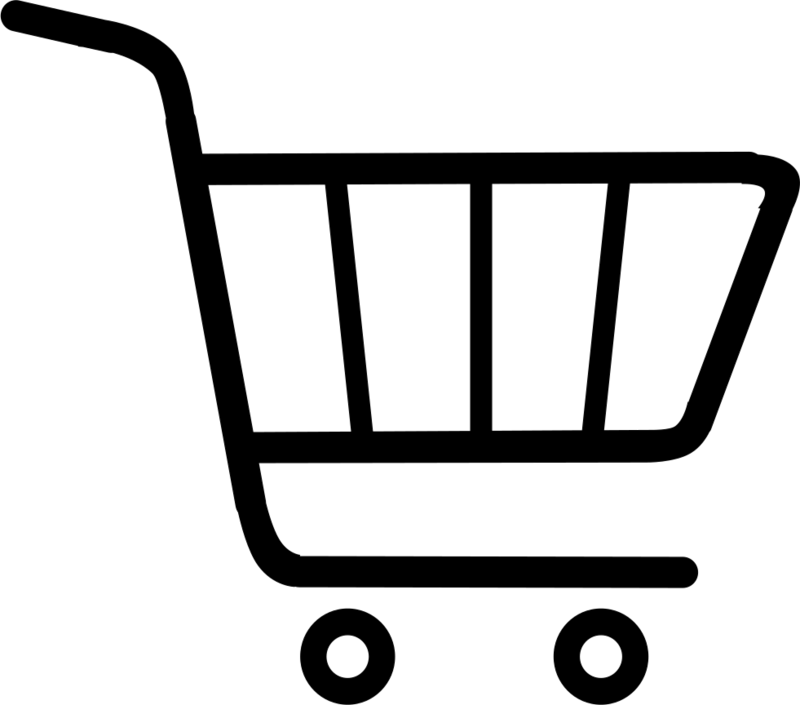 Digitata refers to the digits of the hand. These trees are typically found in dry, hot savannahs of sub-Saharan Africa, where they dominate the landscape and reveal the presence of a watercourse from afar. Their growth rate is determined by ground water or rainfall and their maximum age, which is subject to much conjecture, seems to be in the order of 1 500 years. The Baobab (Kremetart) tree can grow to between 5-25m in height. They are in fact known for their height and trunk’s girth. The Baobab tree has a short, swollen trunk, wide-spreading branches and a large, round canopy. Almost all parts of the Baobab are useful for human beings with fruits and leaves being the most important for food and nutrition. The span of the roots actually exceeds the tree’s height, a factor that enables it to survive in a dry climate. 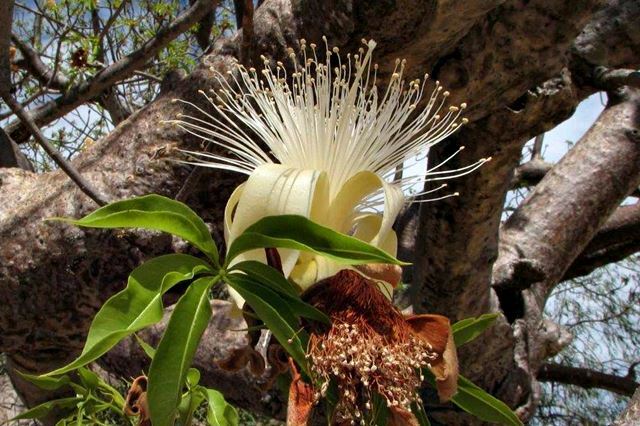 During the early summer (October-December in Southern hemisphere), the tree bears very large, heavy, white flowers. These are 12cm across and open during the late afternoon to stay open for one night. They have traditionally been valued as sources of food, water, health remedies or places of shelter and are steeped in legend and superstition. 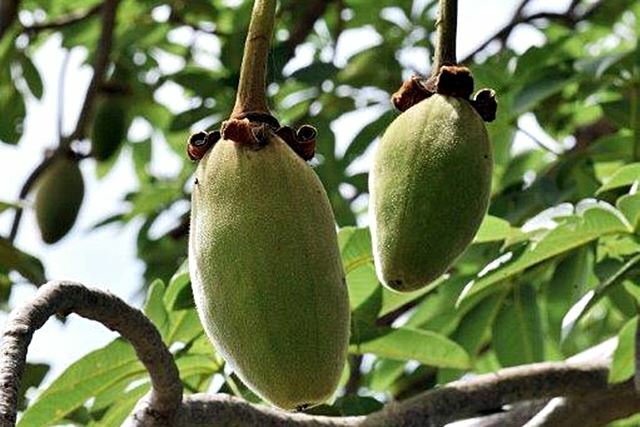 Common names for the baobab include dead-rat tree (the soft dry fruit is edible), upside-down tree (the sparse branches resemble roots) and cream of tartar tree (cream of tartar).